The United Kingdom has been on top of its game the last months when it comes to delivering great metalcore music. Bands such as Bring Me The Horizon and Last Witness are just a tip of the iceberg. High Hopes is the newest upcoming act to put in that bucket. They hail from Hampshire England and released a self-titled 5-track EP. In an interview, vocalist Brian Turner, says that the EP is about both love and hate. When you listen to the record, you can only agree. Where the music is so hard that you can really feel the hate running through your spine, as the lyrics focus on love. 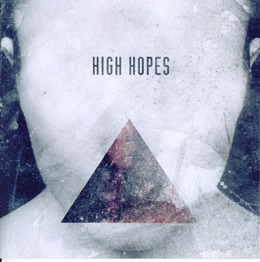 Fans of Brutality Will Prevail and While She Sleeps will definitely dig High Hopes.